Today I took the kids for a little swim in the river. The water level is high and I wouldn't let them go deeper than knee level so it was more like wading but it was still fun. 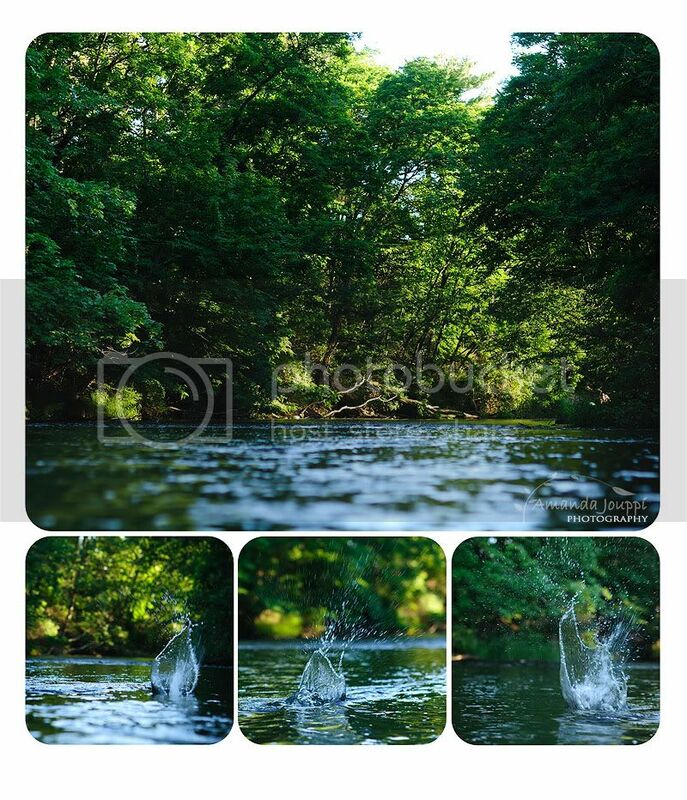 The splashes on the bottom are from the kids throwing rocks into the water. Also today, I made a collage. For some reason I feel like I've learned and relearned to work with clipping masks many times. It seems like every template is different and every program is different. Now maybe one of these days I can set up a slideshow for my blog! Love the green trees and serene river. Looks peaceful & relaxing. That looks like a lovely place to hang out in the heat! Stunning! It looks so peaceful.